MONDAY, Feb. 23, 2015 (HealthDay News) -- People with low levels of vitamin D appear to have an increased risk for type 2 diabetes, even if they aren't overweight or obese, a new study suggests. The study included almost 150 people in Spain. Their vitamin D levels were checked, as was their body mass index (BMI -- an estimate of body fat based on height and weight). 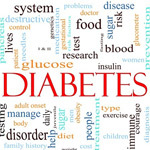 They also had tests for diabetes, prediabetes or other blood sugar (glucose) metabolism disorders. Obese people who didn't have diabetes or related disorders had higher vitamin D levels than those with diabetes. Lean people with diabetes or related disorders were more likely to have low vitamin D levels than those without such disorders. The results show that vitamin D levels were more closely linked to blood sugar levels than BMI, according to the study. What the study wasn't able to tease out, however, was whether or not vitamin D played a role in causing diabetes or other disorders that affect the metabolism of glucose. The study was only designed to find an association between these factors. The findings were published recently in the Endocrine Society's Journal of Clinical Endocrinology & Metabolism. "Our findings indicate that vitamin D is associated more closely with glucose metabolism than obesity," study author Manuel Macias-Gonzalez, of the University of Malaga in Spain, said in a society news release. He said the study suggests that vitamin D deficiency and obesity may work together to heighten the risk of diabetes. "The average person may be able to reduce their risk by maintaining a healthy diet and getting enough outdoor activity," he said. Previous research has found that people with low vitamin D levels are more likely to be obese and to have diabetes, prediabetes and related disorders, according to the society. Exposure to sunlight triggers the body to produce vitamin D, which is also found in certain foods. The researchers say more than 1 billion people worldwide have low vitamin D levels due to limited exposure to sunlight.